So many sports and talented kids….. Spotlight and Showcase each SPORT to show appreciation to Athletes, Coaches, and parents for the time and hard work! 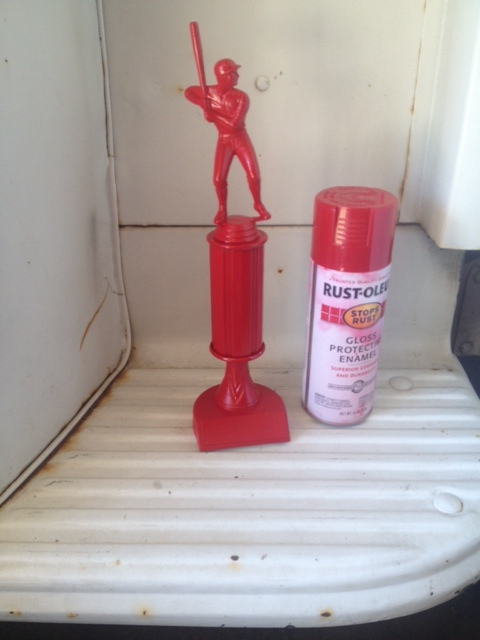 Then spray paint with school colors. For Centerpieces, I used wrapping paper in black and white check as a table runner with red glittered scrap book paper. Pops of white and glitter help focus the table decoration. Soda bottles as a base for jerseys and stuffed with newspaper to give the jerseys shape then added tissue paper as FLUFF! The Coaches were kind enough to loan us the jerseys to use as decoration and gave us a chance to Showcase each sport on a table top! The stuffed jerseys also provided height to the table tops. ( The only items I purchased were wrapping paper, scrapbook paper, and spray paint.) The soda bottles were donated as were the trophies. We repurposed the WC flags from a previous year. Thanks to my awesome team-Katy Thomas and Lanisa Cole for all of their help and for friends and neighbors that donated trophies. Quick Idea-Have trophies lying around collecting dust but you hate to part with them-Pop off name plates and frame as a memento and hang on a wall or give to your favorite athlete. If you know anything about Miss Cayce’s or Show Me Decorating, it’s that we LOVE colorful things! That’s why Coton Colors fits us so well! 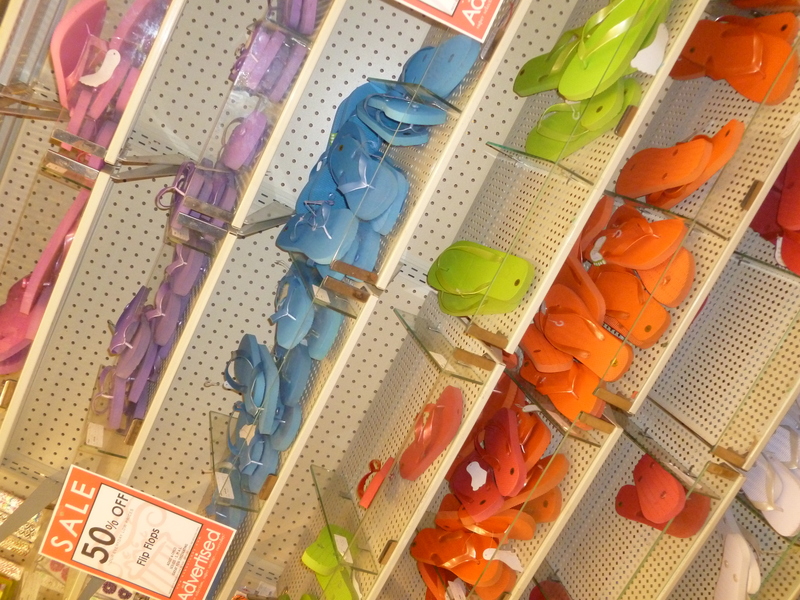 It’s so bright and colorful and well, it just makes you happy! Our first favorite thing is the Happy Everything Platter. It’s so great because you can change out the attachments for different seasons or occasions. This platter comes in neutral and white, for those of you that prefer a little less color. The platters also come in a mini size, too. There are also cookie jars, canisters, and soap pumps you can put attachments on as well. Next, we have the table swap. Now, this is fantastic! We love these dishes. There are charges, large plates, salad plates, and bowls. You can mix and match any colors you want! Isn’t that awesome? Here is some inspiration from a table we decorated at an event. A white table setting is offered as well. 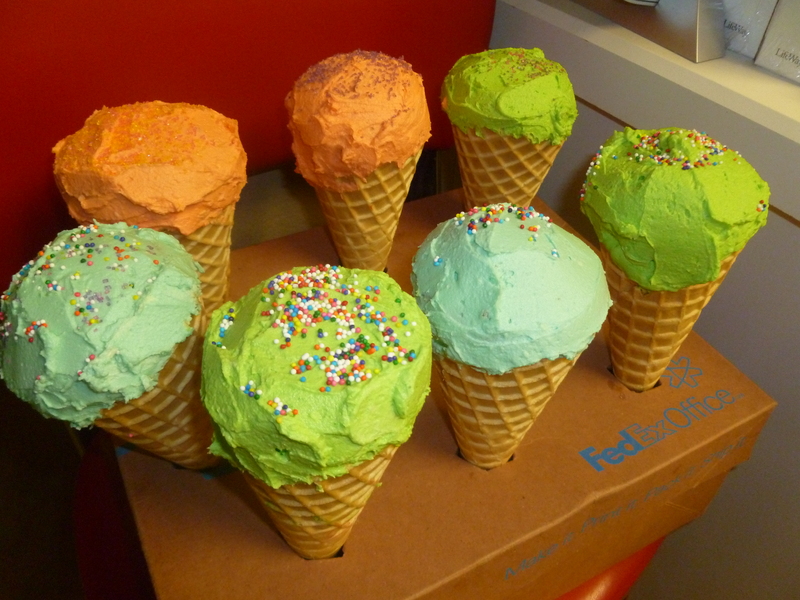 This is great because if you don’t like a ton of color you can just add pops to fit your taste! This would be really great with all the different serve-ware options they have. It would add just the pop of color you need to the white. Seasonal plates and table decor is also a must! Here are some of the cutest candlesticks, too! So fun, but yet classy. So, I am sure you can see why we love Coton Colors so much! There is just so much you can do with it! I hope you enjoy it as much as we do! Show Me Some Spring! Wreathes…. It’s Spring! The weather is warming, the wildflowers are blooming. 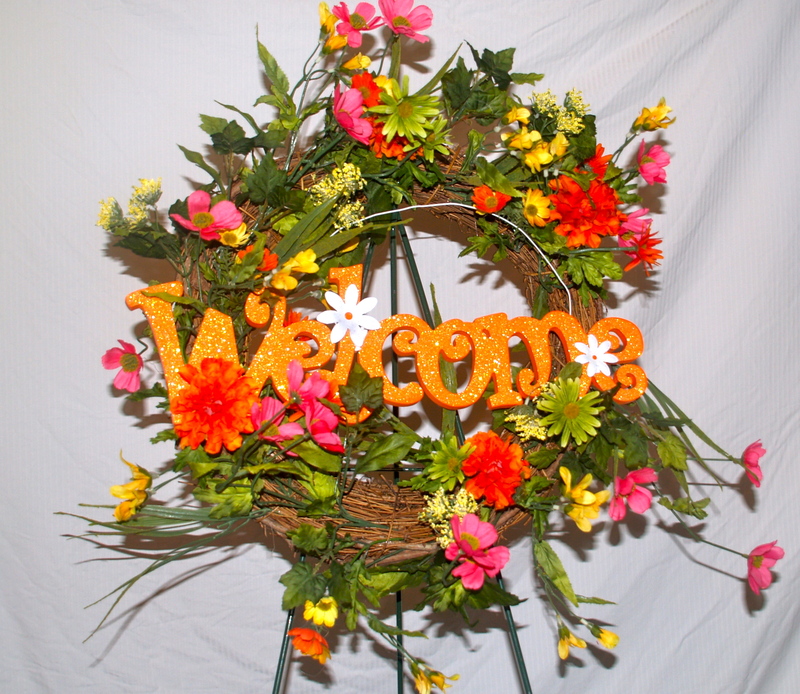 Treat your guests and yourself to a warm welcome with a Spring Wreath for your front door! You have lots of theme’s to choose from for Spring-bright colors, flowers, watering cans, bunnies, eggs, or your family initial! 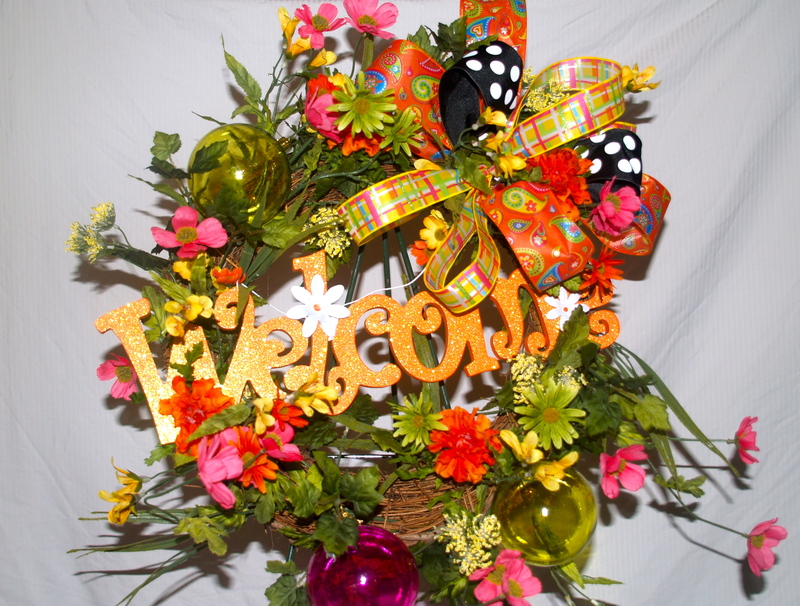 We’ve chosen “Spring has Sprung” with a grapevine wreath, blooms of bright colors, a Tangerine Welcome Sign, and always, always, always great wired ribbon. Always touch and shape each flower. GeorgAnn, @MissCayce ‘s Designer, says ” Each flower has a face !” Love that. 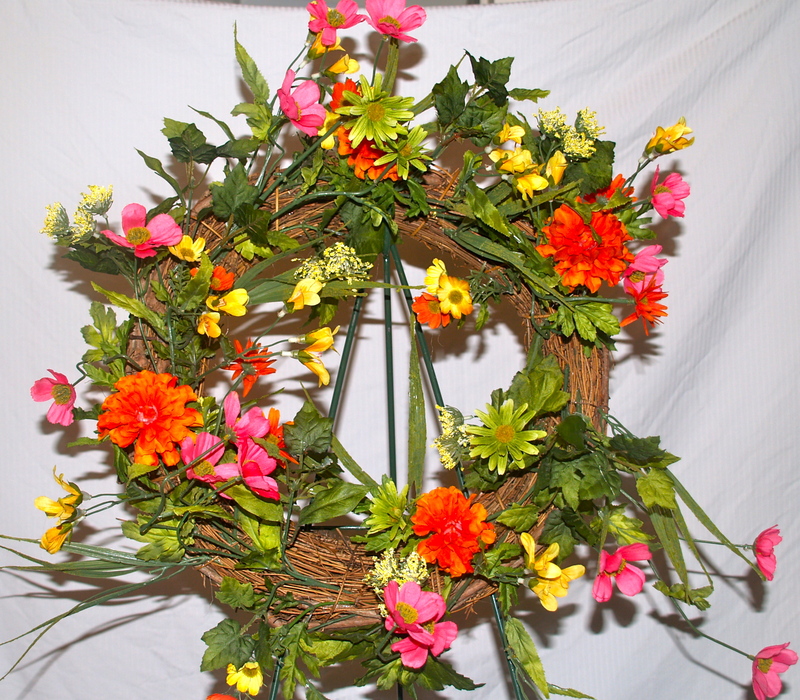 20″ Bright Flower Wreath perfect for spring, Easter, and summer! Find items you like-signs, ribbon, flowers and place in a triangle. 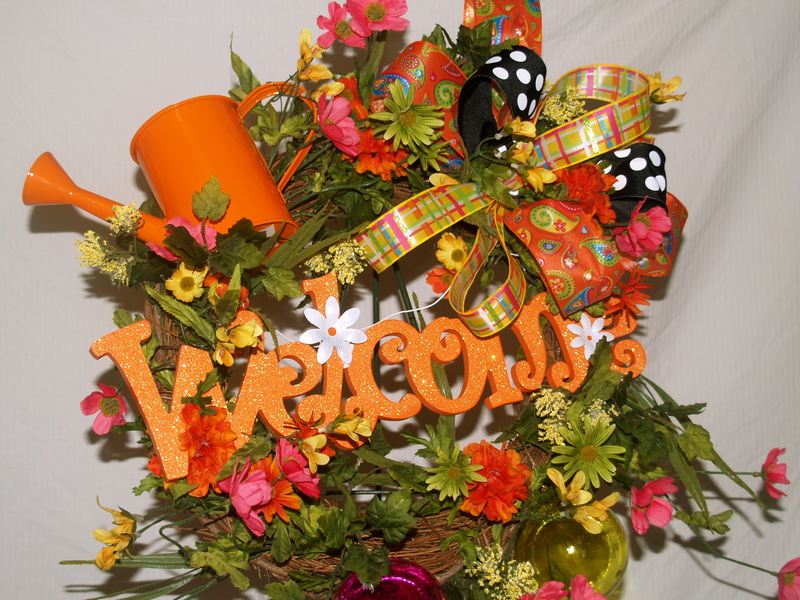 Our Tangerine Welcome sign is from @HobbyLobby. Have you noticed all of the bright orange this year? Bloom where you are Planted sign makes a great focal point or just hang it on the front of your door! Happy Easter Assorted signs for all around the home! Spring Block Letters to work into a wreath as your focal point. Wire in each letter! Black and white polka dot give it a pop! Tie bows and loop bows in print and since it’s spring use a solid mesh or a shear. Add in pops of color-we used colored balls for additional textures and shape. Great ribbon selected for you just for Spring! 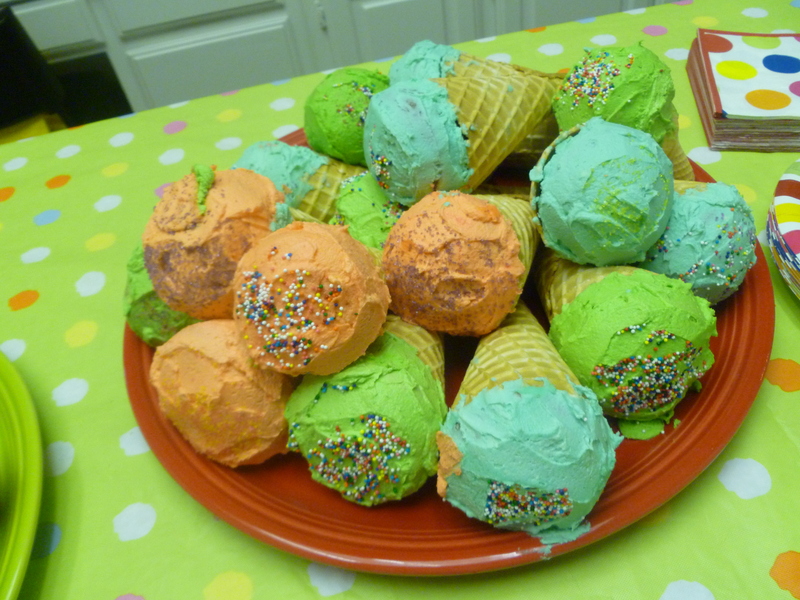 Show Me Some Birthday Cupcake Cones! 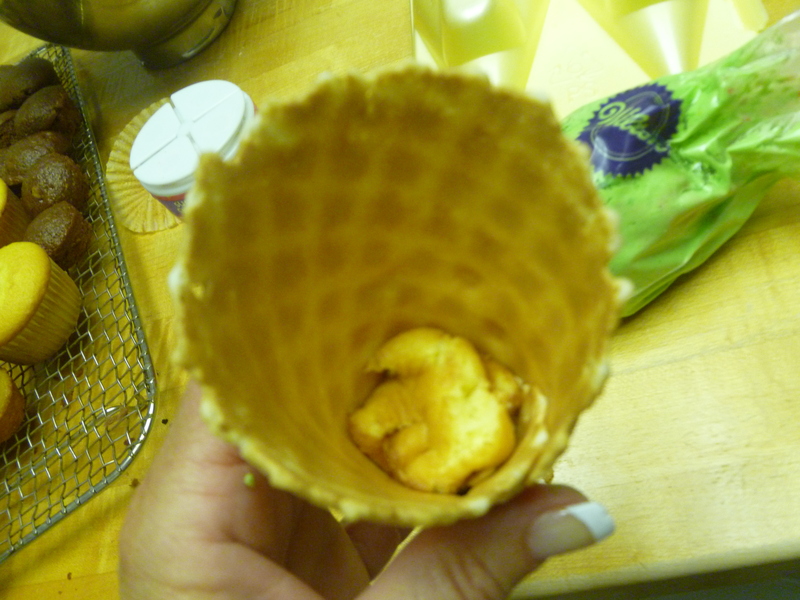 Yummy goodness in a cone! and it is not melting! Rebecca turned 13 this year! 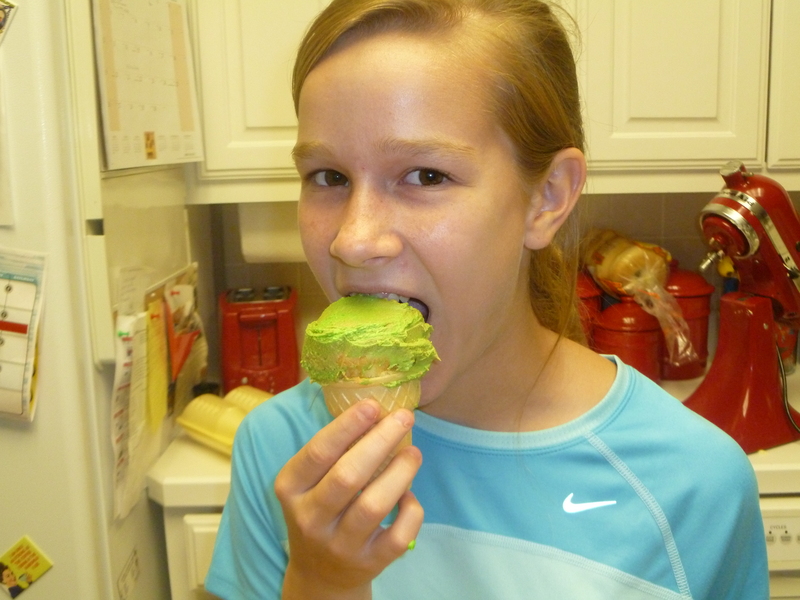 She is officially a teenager! So this called for a fun birthday party which included Pizza, “Big, Better, Best Scavenger Hunt,” Purple Cows, and Cupcake Cones. We are always looking for new ways to serve birthday cake! 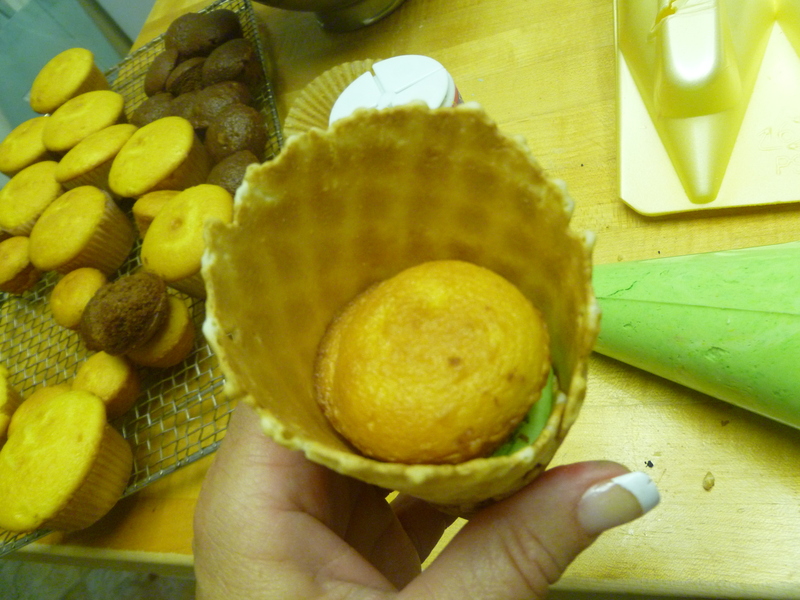 We decided not to bake the cupcake batter in the small cones (as many have done) but to use the larger waffle cones and stuff them with layers of cupcakes and frosting. We made 1 box each of butter and milk chocolate cake mixes. The Vanilla and Chocolate cupcakes in 2 sizes. 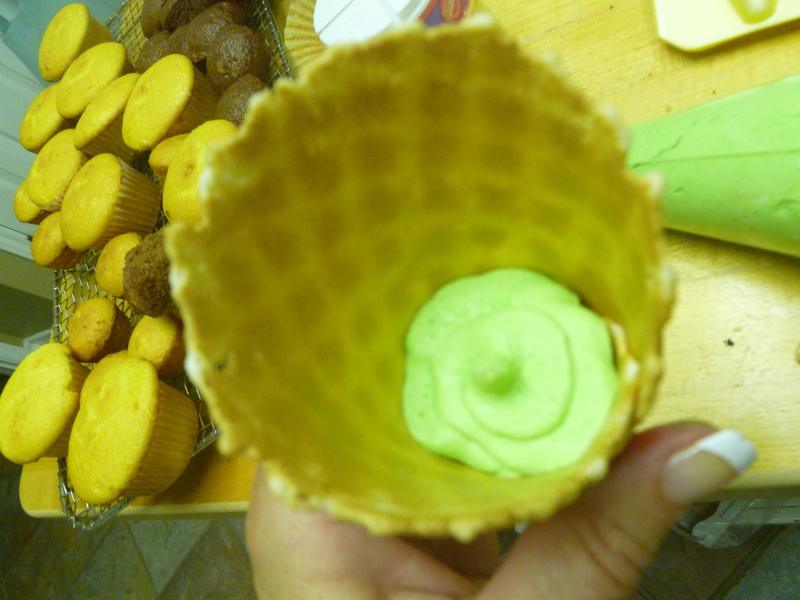 Tip: Piping the icing in was the best method, we used disposable bags with the tip cut off. 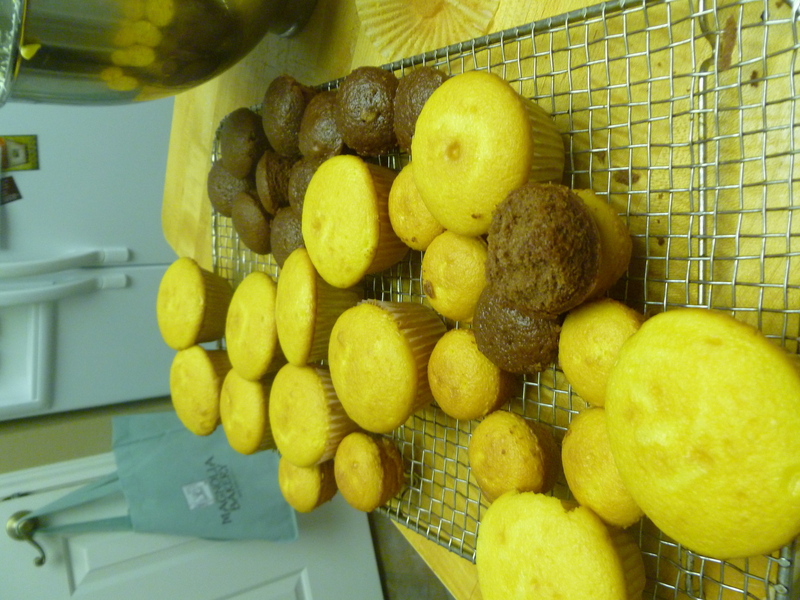 We made some all vanilla, all chocolate and some mixed and used the icing colors to differentiate. Tip: We matched our icing colors to the birthday paper goods for a coordinated look! 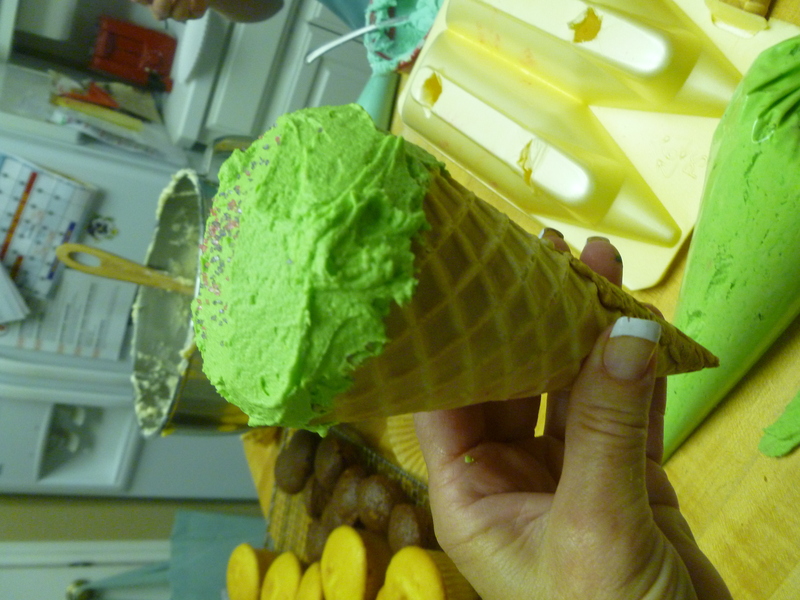 Add large cupcake and ice the top to look like an ice cream cone & sprinkles add the finishing touch! 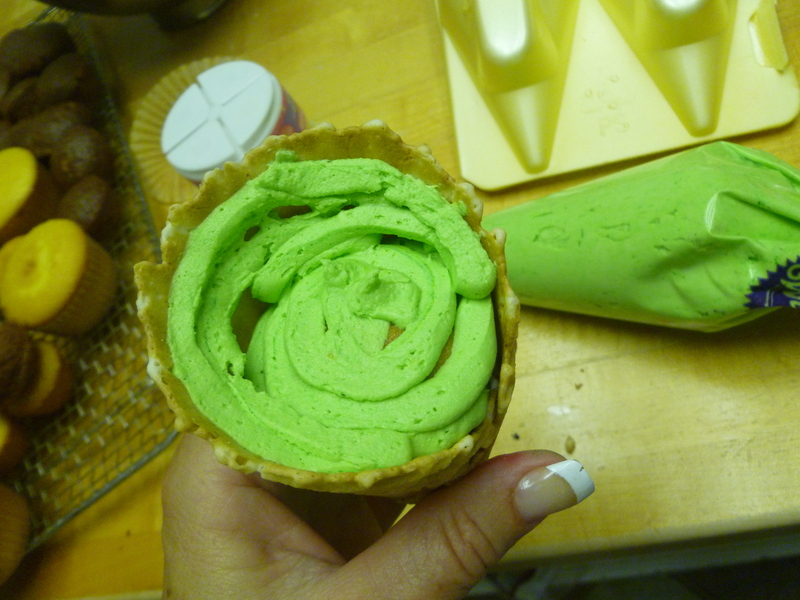 Tip: We used a box with a lid and made holes for the cones to stand up in while the icing dries. A shoe box worked great also. Rebecca taste test one! yum! 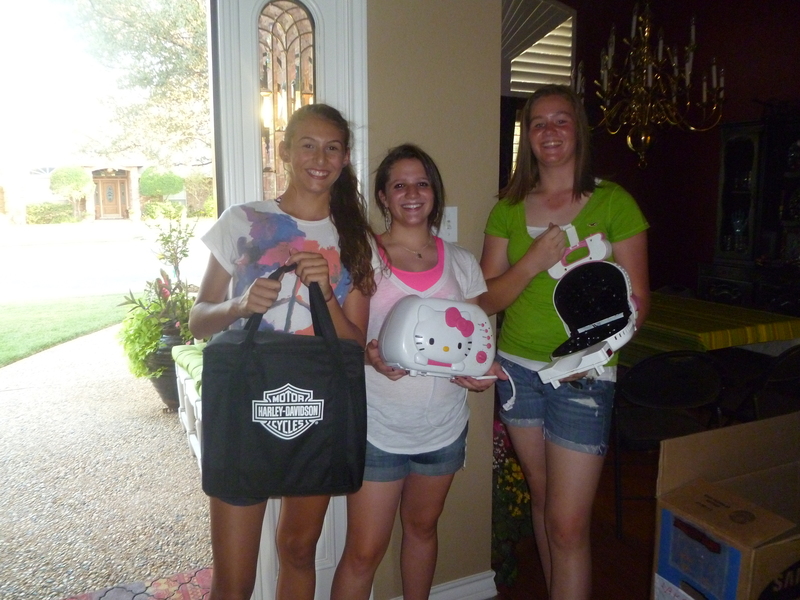 The winners returned with a Hello Kitty waffle iron, toaster and a Harley Davidson mini collectors grill! We decided our drinks would be the Purple Cows (like we enjoyed from the Shake Shack on our New York trip!) to go with our fun food, vanilla ice cream and grape soda! Show Me Decorating is always about creating, inspiring, educating and then you decorating (or in this case entertaining) with simple step by step ideas. 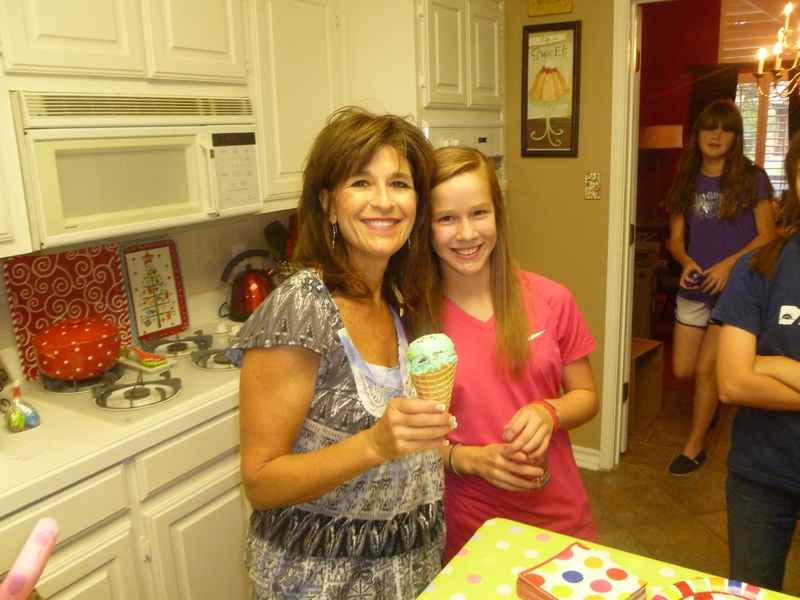 We enjoyed our party! My little girl is a teenager!